So you looked at the national players, we said, okay, what’s their top two cause? they’re tough to cost or shipping and packaging because they centralize and they have to ship across the nation and their number one problem is the freshness of the product when people are buying this product because they believe it’s the freshest product. So we knew we could beat them out on the distribution side, right? But we couldn’t scale fast, so rightfully so, the national players, they could scale very fast doing that and that’s what technology people want. Right? But now you’re seeing all the problems that are coming about it because of the spoiled product not being able to control freshness across two to three days to the consumer’s home. People are leaving. Hello. Hello. Hello. Welcome. The podcast, the first podcast finding upside outside of Silicon Valley. I’m Eric Hornung. I’m accompanied by my cohost, Mr Ventura, California himself. Jay Clouse, Jay. How’s it going man? Well, Ohio is a lot more humid than California was. Big Fan of California. Whether I’ll be honest, I know, I know this is a show about being outside of Silicon Valley, but being out there on the coast, the weather’s nice. It’s chill out there. I understand the appeal, but happy to be back here in Ohio after a short trip to the coast. Is your car as nice as the charger that they gave you out there? Uh, so getting back and driving my Ford fusion, so sorry, a little bit of inside baseball was out in California this past week. Recording a course for linkedin learning. They acquired Lynda.com a few years ago and I’m an author on their core software. When I go out there, they give me a rental car and a hotel. They did not have a midsize vehicle for me this week and so I got a free upgrade to a dodge charger, which was amazing to cruise around highway 101. And know my car. It does not at all compared to that. Getting back in my car, I was, I just didn’t recognize the feel of the pedals. I thought something was wrong and then I remembered. Oh No, I’m just driving a much worse vehicle. Well, I’m glad you had some fun out there. I’m glad you got to geographically diversify a bit, which is something we’ve talked about a little bit lately, but now we’re here. We’re at upside, so jay, what are we doing here? Here at upside We’re talking to founders outside of Silicon Valley. 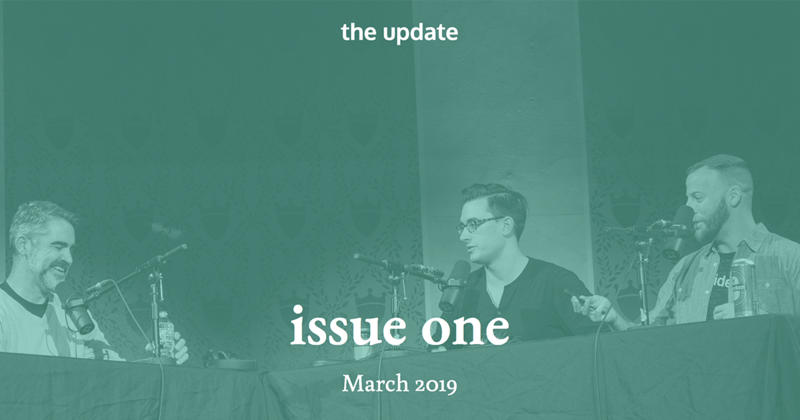 We think it’s a great time to be a founder outside of Silicon Valley and every week here we’re talking to somebody new who helps reaffirm that belief, so we talk to founders. This is a for Eric and I to learn and think like angel investors, which we are really, really enjoying, but we believe that the economics are great to be a founder outside of Silicon Valley, that the founders are smart opportunity seeking capital efficient and very resilient and so every week we talked to one of them. This week we’re talking to Frank Jackman, the cofounder and CEO of Local Crate. Local Crate is a food and beverage delivery service. It’s a boxed meal kit service, much akin to a Blue Apron or Hello Fresh using locally sourced ingredients. It was founded in 2015 based in St Paul, Minnesota. It was part of the techstars retail accelerator, much the way that UPMC and vibe we’re. It’s raised 1.6 million dollars in funding to this point from matchstick ventures, router ventures and 25 and some others. I got a lot of research statistics here, Eric, but would like to turn it over to you and hear your first impressions researching Local Crate. Yeah, so we’re going to do here is do a little bit of research on the upfront. Then we’re going to dive into the interview with the founder and do a deal memo later. Jay has a ton of research I have done. Probably not as much as him. He’s been up since 5:00 AM doing research apparently on this company. So my first thoughts, my first take when I looked at Local Crate is, oh, another one, and I know that’s probably not the most exciting response, but the idea of a subscription box, which is my understanding of what Local Crate is, I feel like I see them everywhere all the time and I know that the financials behind them are very attractive to a lot of investors everywhere around the United States. But it just feels like, oh, another one to me, Jay, did you have a similar feeling or something different? Maybe not as intensely, but yes, subscription box definitely had their time in the sun a few years ago and most subscription boxes kind of fell by the wayside. Leaving, leaving way to things still like barkbox. And I think birchbox, the meal prep kits are the ones that seem to have endured the most because I think a lot of people realized after some time passed, I don’t need all this stuff and I’m getting a monthly package of stuff. And the thing was about that. A lot of that stuff wasn’t consumable and so you’re just piling up stuff. Meal kits naturally consumable. You’re going to be eating anyway, so this is a, this is a little bit of a different model. Found some quick stats on the market size and the kind of the landscape as it stands. This came from a recode article in March of 2018, $5,000,000,000 market in America. American meal kit market about $5 billion dollars. Blue Apron as of this year is sitting at about 35 percent of that market, which is down from 46 percent of the meal kit market in February. 20 17. Hello Fresh acquired something called green chef recently and combined they own 36 percent of the market, so they have eclipsed Blue Apron this year and their sales grew five times faster than Blue Apron over the last year. US meal kit sales grew 41 percent in 2017. So it seems that that market size may be increasing for a meal kit versus you know, your traditional cooking at home or I guess going out to eat, but neither company Hello Fresh or Blue Apron is profitable at this point. in a space that is increasingly competitive with Hello Fresh and Blue Apron , both being public companies, they have a lot more resources at their disposal to do so. Eric, by the way, got to cut in here and say being up since 6:00 AM, I acquired some Alpha brain from on it yesterday and I am trying that for the first time right now. And I am feeling on fire, so on it, if you’re looking to sponsor another podcast, I know Joe Rogan is probably got a few more listeners than us, uh, starting to feel the magic here. on fire. So something else that I wanted to say about this opportunity in particular in my research started to tease out that meal kits while traditionally delivered as a subscription box, there has been increased interest in retailers, big box retailers and offering them in the retail stores, which I think is part of the reason why Local Crate went through the target accelerator. Blue Apron is testing in Costco, I believe Walmart is rolling out their own meal kits. Albertsons, which we talked about as a big chain. In the script drop episode, they acquired plated recently. So it seems like that is going to be a major part of the Local Crate strategy. Did you see anything about that or anything else that kind of got your attention? Yeah. And Kroger I think recently bought home chef, if I’m not mistaken, which is a pseudo meal kit thing. But there’s, there is this kind of trend that the meal kit industry is a rapidly consolidating and that’s actually the title of one of the articles that I read on Forbes. It’s interesting and I’ll be interested to hear a little bit more from frank on how exactly they see themselves playing as a newcomer into an industry that is kind of developed over the last maybe five to seven years. One thing that I think is incredibly interesting will be how they’re going to work with fixed costs. So on a project that I was working on for my full time job, I was in Kearny, New Jersey, which is somewhere I don’t recommend anyone go and across the street from the place where I was standing was this huge building, just absolutely massive. It was for Blue Apron and I thought, wow, that’s crazy. I didn’t even think about the back end of this there. There’s these massive manufacturing centers. So what is the scalability look like of this? How do they have to go about scaling? Is this going to be okay, Get really, really big, then get profitable, we’ll acquire a ton of subscribers. We will build out all of this infrastructure then get profitable or is there a different business model with Local Crate and that’s what I’m excited to hear about. Great question. Logistics seems like it will be challenging as hot as locally sourced farm to table type ideas are right now, which is part of the Local Crate value proposition. I have to think that makes logistics much more difficult because they offer same or next day delivery from getting the ingredients interested to hear how that process works. I did some quick research on their serving prices versus Hello Fresh and Blue Apron . Hello. Fresh and Blue Apron seemed to be pricing it at the same about $9.99 per serving. Local Crate is at $13.50 or at best $12 for a larger order, so in a, in a battle of acquire, acquire, acquire. It seems like they have some challenges ahead and then I’m interested to hear from frank how they plan to tackle them and what they see as their opportunity in the market. Let’s do it. Let’s jump into the interview and let’s figure out what’s different about Local Crate. Frank, welcome to the show. Hey guys, thanks for having me. Excited to get. Get going here. Excited to have you on. So we like to start with the history of the founder. So can you kinda tell us about the history of Frank? What’s that look like? history or frank? Well first we have two co founders, myself and Mike. Mike’s unable able to join us today, but myself originally born in southern California, moved to the Midwest or Minnesota when I was about 12 years old. Small town, about 400 people, moved to another town about 1200 people grew up right. Kind of the major city next to us as Marshall, Minnesota, which no one still knows. And then Minneapolis if you will. So we’re about three hours away from Minneapolis. So heartland of the country farming, concrete construction work was based on. There was so school sports and a concrete and construction work working on the farms. Is that what your parents did out there? Um, yeah, like a dad was in construction and my mom was actually in nursing. So taking care of people or building things. How did you get from tyler to I’m guessing, where did you go to school, how did that progress? One of the big companies in Marshall, Minnesota are the big company that built that area, is Schwan’s the Schwan food company. A lot of people kind of know them for their home delivery trucks. Um, that’s actually a small piece of their business. The bigger pieces that are retail products, so they own brands like Totino’s, Fruscetta, Red Barron, Mrs Smith’s pies. They’re a huge producer of frozen foods. So my mom worked there too a little bit at times so that they’ll come back. But, uh, after, after high school there went to college in Mankato, Minnesota, which is about an hour and a half closer to the cities and uh, Msu just to state college, you know, had fun at college, College, met a lot of great friends, a lot of great advisors. And one of the things that kind of led me into entrepreneurship is now, who is the dean of the business school, was an entrepreneurial teacher and she launched this project where it was an entrepreneurial class, was the first class we had in college and um, you literally got to go in there and try to figure out how to create a business. And it was just a meet once a week type of thing. And the very first thing we did, I think his freshman or sophomore is that I haven’t read, I don’t know if I really told people about this, is there was a very simple but it was homecoming, right? And everybody’s making their own t shirts for homecoming. Like, well, I don’t know, why don’t we sell people t shirts? And so that’s what we did. We created a tee shirts and then we donated all the proceeds to united way united way. What did the t shirts says on them? I can’t remember there was, there was about five or six. And the one that I remember because my girlfriend now wife at the time still has one, is it said 2000. Can’t remember what year it was, 2013 whenever and the circle had, so it was like a piece themed one and the circle has had like a peace sign and then the other one was like a flower and it was pink, you know, type of thing. We couldn’t do anything. Outrageous sense we want to write, like during that time our mayor had gotten in trouble for drunk drive and so a lot of people create a tee shirts, which the mayor drug on the front of it, we really couldn’t, even though we needed those itself. So that’s, that was that. And that. She then got a grant to create is very unique for especially Minnesota. Create a, it was a class where we teamed up with engineers from another school on the iron range in northern Minnesota and they had some business ideas to create with their skills, but they needed the business side of it right there with the engineers. So we teamed up with them and traveling back and forth from up north and kind of essentially the idea, which I think is still kind of great, uh, that they had. And that we were testing out was, i dont know if you guys are into hunting at all, but it’s, so essentially it was automated items based off of gps that you could take your dog through fields and, and uh, help they’re keen skills of a tracking through, through the grass in order to not scare the pheasants up until it was time, right? And then it would automate that process for the dog so that the dog, once he got it within a certain proximity of the alarms, would go off and shoot it out. Right now obviously that technologies throughout every industry but not within the hunting industry, that’s kind of falling behind. So we were testing things like that coming up with a business plan. And that’s kind of what really got me truly excited about, well, yeah, you can start a business from the ground up, you don’t have to work for a corporation. So from that, at that point I started a company called exp promotions and that’s what really kicked it off. What I would do, and a lot of people call it concert promotion, but it isn’t that as I would take a artist, a rapper, if you will, it was hip hop and I would take a venue in a rent out the venue and I would contract out the RS and bring them two together. So it was like we own the events, we own the concert. who’s your favorite hip hop artists right now? My favorite right now. That’s the number one album. And listen to his drake right now. But um, yeah, but I think, you know, if I go deeper, it’s like Macklemore, if you will, something a little bit, a little bit more meaning if you will. But uh, yeah, yeah. Listening to the Scorpion, that album a lot right now. I like all types of music though, not just hip hop. So I have been, so for so long, a public opposer to drake that I literally can’t even bring myself to listen to Scorpion because the snippets I’ve heard I’ve enjoyed and then I realized it’s drake and so I have to not listen to it to maintain my, my, uh, status, which is a very closed minded approach to anything. I’m going to have a Bluetooth speaker in your apartment through wireless and just start playing it at random intervals just to mess with you. It’s interesting that you talk about the, the hunting, the first sort of business that you did. I’m not a hunter. My Dad and I do a lot of fishing and I’ve actually spent some time in Minnesota at the Detroit lakes fishing and I see a similar, a dichotomy in that the fishing space has in my mind some room to modernize in there some, some opportunities there from a business perspective and the way that they do things and the tooling keeps getting better and better. But on that note, I wanted to ask as you were going through that, and you mentioned this is the first time it kind of opened your eyes to see, saw you could build something from the ground up. Could you talk more about that experience and what that kind of change in worldview meant to you? Yeah, I think I’m the teacher that time was Dr Flannery. So shout out to her. But um, you know, with the t shirts too, I think the tee shirts was the very first one, but that was anybody could create a tee shirt, but that was the first transaction here. We created something from the ground up and we’ve got dollars for it. Right. But as far as creating that new product that we could sell out to people on a, on a mass scale or having that idea of building the business plan around it, it was just the idea of, you know, here’s these engineers that created from the ground up of taking this hardware and the software and technologies that are available to create something and then we’re able to create a business around it. Right. That was a product we’re able to create the business plan around it because like, yeah, this is actually viable. And it was like when we started talking to friends and friends and uh, our survey in people, not just friends and be like, yeah, that’s something I would definitely, definitely paid to go do at a, at a driving range or whatever it may be, or at a shooting range. Sorry. That was kind of where it started to click a like, oh yeah, we created this business plan, these guys created this product and there’s people willing to pay for it. Right. At that time we only had about eight months and the engineers had an opportunity to still move forward with the business and they, they chose not to just because they’re passing life. Right. Um, so that was like the first part of seeing people that you had no clue who they were saying. Yes, I would pay her to do something like that. Before you started exp, what was your assumed post-college path that you thought you might follow? It was the path that was still following, even with the XP was get a job within marketing, try to pay my own bills role even though was really grew up in a poor family, so just try to push us as hard as you can, try to exceed with the, with the resources that I had. Right. So it was, yeah, trying to find a job and it wasn’t even like how do we find a great job is how do we find a job within, within my industry and continue to excel it. Fortunately I was able to find a job right away, out of college and, and grow from there. So let me just clarify. Their exp was your first job out of college or it was your first side of college and you also had a job? Yeah. So let’s back into that. Is that. That was. That started in my junior year of college. I’m into senior year, so the junior summer and right away I was an artist and you guys probably know is big. Sean. I had some money from work and all my savings and I had this artist and I happened to, through a friend or something. know, his agents. Right. So I told his agent that we have this venue is great venue downtown Minneapolis that we could throw this concert and he had just started going on tour and this was during the stage where youtube just started blowing up for independent artists and you didn’t need like a live nation or any type of contract management group to go on tour anymore because you had your fans yourself. So I told the agent that we had this place and I told the venue that we had big sean ready to go and we had none of it, um, and we just kinda had to fake it till we make. It kind of came together and it was like, all right. I was like, well I have most of the funds. And we went to a friend and like we need some more to get it done. Like they’re saying yes, they’re saying yes, we have to do this. So he pulled together all the contract, sign everything. I’ve pulled up contracts, I think it was like off of like a rocket rocket.com or whatever like that, right. Created up these contracts in Google and then we put on the first concert and we started promoting it and sales were going great but about a week before and majority of the sales will happen like three days before. But we can force sales were all right. We weren’t necessarily break even. That’s kind of nervous. And then his first song, my last hit the radio and then um, the concert is sold out. So that was absolutely perfect timing and it was amazing and for the dollar that we invested in the concept beforehand because the single wasn’t out yet with a lot less. So it was great. From there we did our next concert with a group called time flies and that sold out in four days. And so that was crazy. We had like a 300 person room because it was the first time they went up to her 300 person room so that out in like 24 hours. And we went up to like a 1900 person room and that sold out in four days. So we were like, wow, this is awesome. Okay. And then we did like kid Inc. And then Mike Stud. Mike’s is a still underground, if you will, but he’s been, he was our, we were bringing people that we just liked, right? Uh, that we knew we liked and hopefully everyone else did. And so, but Mike Stud, we had an opportunity to do more shows, so we’re doing like five to six shows in the Midwest. And then we did that with logic. So we brought a logic more shows. It started just growing and growing, um, because we knew since we were already bringing them, it could do more in the midwest. Um, and then we did a national tour with an artist called Somo. Somo is now on the radio national, but not as huge as the other names. But um, that was our first national tour, I think pulled together a 16 cities for that. So I was still working at Schwan’s. So then about halfway through that hole for a I got my job Schwan’s and essentially my boss gave me an ultimatum of you want to continue working Schwan’s or do you want to do this business? Just because it was conflicting, too much, was getting too big and at the time Schwans is a good paycheck and it’s easy to tell you the truth, right? It was a corporate job and benefits and my girlfriend now wife at the time didn’t like the lifestyle of the concert business if you go. So closed up shop on that side, you know, being naive and dumb and didn’t even realize that there was true value in that business. It was just something that Kinda came together and we were having a great time of friends. They’ll possibly could have sold them something, but it was just a, it was time to close it up. So then, uh, continued working at Schwan’s, but we could dive into the swamp store. What does closing up a business look like where you have contracts and you have things set up to you. Just finish them out and just say, okay, we’re done. Or how does that, how does that look? Yeah, the contracts were for all upcoming work or work that was going to be executed. So it was all like we would sign them up for five shows and then we’d get those facts shows done. So we did a national tour, the 16 cities, and then I think we had like one or two concerts a ready to go into the midwest and we had to finish up those shows and then it was done after that. Right. And we kind of look back and if we would have been more businessmen at the time, would’ve been like, well yeah, how do we sign it on all these artists to a full year worth of shows or something like that. Um, because all of them blew up on basically every single one of them, right? Logic signed the largest contract and hip hop big Sean. What blew up? Kid Inc. We’ll up all of them. So it was things that I wish you would have been able to. No, no, back then, but we were having fun. So you move on to focus fully on Schwan’s. How long were you at that job before starting Local Crate and I’m assuming there’s probably some some things you learned there that led to the formation, but I may be projecting. No, exactly. I think when we look, we’ll hop into it here. Is that I joined schwans is an internship right out of college. I mean they built. They are good at. I lived in so it was always a great company. Respect Schwan’s very much so did my internship there and it was great and then I got hired on as associate marketing manager right away, so it was awesome at that stage being able to start my life there and learned a lot. Schwans is very entrepreneurial in spirit until I guess recently until we decided to leave it was you could create an idea, a product and if you’re able to work it through the organization, you can launch it within three or four months. Now that’s good and bad. Right. And for a large organization that’s bad because it’s going to cause a lot of chaos, but for a smaller organization It can do great. Yeah. Was there for about three years, I met my co founder there, he was the corporate and Sean’s and we would work together on, he would create a gold standard of a product that I would take it through what we call a stage gates in the corporate world and uh, take the marginality, take the processing out of it and launch it well. You can imagine what that product was from when the culinary person developed it to when we actually launched it. Right. And we just know it’s very hard to be excited or proud of both items. Right. You’re excited for the sales and the sales cycle, but not so much the actual product itself. So that’s when we started looking at things. So that’s kind of where the idea started the spawn out. Can you tell me about that moment in time where you’re starting to spawn the idea of Local Crate and exactly what the first version was? Yeah. So I have to be very careful because of Schwans, but essentially we speak about this ways that Mike and my cofounder, parted way, which ones right at that time, Blue Apron plated. Hello Fresh wasn’t here yet, but Blue Apron plated, we started hearing ideas about them. So after we left Schwan’s there was a lot of talks of these players and we hadn’t heard anything about them, right. A lot of the food world hadn’t, and these were all technology guys are logistics guys. Nobody in food period. So it was like these guys created these food businesses. It was like what’s going on here? And completely bypassing the food industry and I would say a bypass the food industry until about a year ago, maybe even right until they kind of woke up to it and it was all technology investors. It wasn’t even food investors and you’re starting to see where that knowledge is is a problem if you will. So we looked at it and we said, awesome, here’s a way that we could create a gold standard, sell it to a customer and the customer processes that. So the customers, the manufacturer. So then that product should still be gold standard in their hands because it’s the freshest. Right? But then we looked at the national players and we said, well, they’re taking fresh food and nationally distributed it, you’re going to have big problems, right? So essentially they’re taking vegetables and meats from all across the United States or even the world and centralizing it east coast, west coast, and then they’re shipping it across the nation and coming from Sean’s, we within home service, they have the exact opposite model. They have depots in every single major city and that is what is like the holy grail right now, Amazon, if they could have depots in every single city, that’s what they want. And that’s what they were trying to get to. Right? But Schwans can’t sell that off. It’s a legacy business and it’s all frozen food. So it’s utilized to the wrong item. So we said, well, if we were to look at a model like that where we had regional kitchens and commissary kitchens in every region, well we could have the freshest product, we could get it to you a lot quicker. We could use 80 percent less packaging and it’d be cheaper shipping. Right? So we looked at the national players, we said, okay, what’s their top suit? Cause they’re tough to cost or shipping and packaging because they centralize and they have to ship across the nation and their number one problem is the freshness of the product when people are buying this product because they believe it’s the freshest product. So we knew we could beat them out on the distribution side, right? But we couldn’t scale as fast. So rightfully so, the national players, they could scale very fast doing that and that’s what technology people want, right? But now you’re seeing all the problems that are coming about it because of it, the spoiled product not being able to control freshness across two to three days to the consumer’s home. People are leaving. It’s high cost to get them in the door and they’re not staying that long. So all those issues are coming about. So now it’s taken us time to scale up. So that’s when we said we put the business plan together. I mean the business plan and said Yep, this is the go. Mike and I had created a few together, a few different business plans and they were not worth it. Uh, this was one that we said, let’s give it a shot. So we put it all in and, and gave it a shot here. I think this is a good time for you to kind of explain in your own words. We introduced it in the Intro, but explained in your own words, Local Crate in how it exists today. And that’s the toughest part that I’m struggling with right now, guys, is how it existed in where we want to see it. Right? So our, our ten second pitch is tough for me to get up because of what I want it to be, right? But essentially on, on this side of the business or towards the industry or investors that look great, it’s decentralized in the food system within a network system, right? So forget about meal kits. We have created a localized supply chain within food to decentralize the food system. So you look at food for the past 50 years is, it’s been the traditional ways you centralize the food and centralized manufacturing to gain efficiencies and ship out. Well, you gain a lot of problems with that too, right? Use of preservatives, all the mileages of product. So ship unhealthy food, processed food shelf, stable food that corporations are going after, and then you, you miss all the fresh product. Right now. Consumers are wanting a fresh. Everything was going towards fresh in order to truly execute that. You need decentralized. You need facilities and hubs in every major region. So that’s what we’re going after. Men where you want sustainable food from every region. Why not have the food that’s within our area? I think a big problem I had growing up in southwestern Minnesota is, or growing food everywhere around us, but we can just go grab it and cook it. It’s kind of crazy, right? Those are the southwestern Minnesota as a food desert, but we’re growing food. So Dan Barber, I don’t know if you’re familiar with him. He’s a Michelin Star Chef. He wrote the third plate he talks about, and I can’t remember the exact name of the idea, but it’s eat the foods that are local to the region that you’re in. I Think about that in the context of Local Crate and in the context of coming up with dishes that are offered. You can’t standardize maybe a menu across the entire nation. Do you. You mentioned something about regional kitchens. Do each of the kitchens have different menus for different seasons? Yes, exactly. So as Mr Barbara States is regionality, right? The growing region, there’s a problem around what people state as local, local and still doesn’t have a definition. There isn’t anything people could point to and say that’s what local is. So let’s take a step back so we can dive deeper here. Is that the local industry is in food, is the most highly fragmented industry there is. There isn’t a single person that owns more than $50,000 of it, right? It’s all independent chefs, independent restaurants, independent, um, co-ops, independent farms, independent makers, right? There isn’t a single brand. People could point to or platform to say, yes, this is where I gained my local information from our product from. Right. And there’s so many of them, right? There’s so many. The fastest growing industries, other chefs in restaurants, the Co ops, the makers and everything. Right. So that’s what we’re going after to try to bring that altogether for everybody. Right. So now when you look at that, it will local could be like, well is that from my city? Well it’s Kinda hard to source everything from Minneapolis. Right. But it’s what is from your growing region that you are able to grow here and produce here. So our growing region here in the midwest and we state as Minnesota, Illinois, Wisconsin and Iowa. Those four states is what comes out of our facility here now in. And that’s for the upper midwest in California. We launched our facility in San Francisco. That is for California. California has essentially their own growing region right now we’ll be launching a one in the northeast for the states above New York if you will. Right. So that’s kind of what Mr Barbara gets to is that there’s items that we could grow within a growing region and there are so many and with technology now is that there’s hoophouses vertical farms where we could essentially grow everything. People wonder, well we’ve kind of probably launched in the worst state to launch and you can only grow for four months, but yet we have the largest population of co ops in the United States. We have the largest CO op in the United States and it’s like, well why? But there’s so much focus and feel for that local aspect and the do good aspect and hoophouses and vertical farms were able to get tomatoes in the middle of winter that are the freshest product and game and because of these vertical farms, when essentially that’s localized farming at the best in every region. Could you explain what a Co op is for listeners who may not be familiar with that term? Yeah, so I guess a co op could be used across every industry, but so when I stayed in our industry, it’s a food op essentially that there’s people that go around trying to get people to invest a certain amount of dollars and it say $50 or any amount that you can put into this organization to then build a food store, but then now you’re a owner of that organization and if any profits at the end of the year you get paid back any losses. Hopefully the organization could in cure and keep that business going. Minneapolis as one of the oldest, and it’s actually the largest single Co op in the United States is called the wedge and they’re great partners of ours. We actually source ingredients from their distribution center in order for a lot of these cooperate and restaurants to be locally sourced. They had to create that from the ground up, so there’s local supply chains in every city that aren’t the big boys. These are built by farmers and chefs and that’s what we’re tapping into. Their not by Cisco or US foods or Aramark. These mass source items, these are built from the ground up every major city now. So I want to get back to Local Crate real quick. Why meal kits? Why is that the place to start when this regionality is so important? Can I, can I piggyback on that? If this makes more sense to answer first, you mentioned that there was a larger what you wanted it to be, so it’s hard for you to put it into ten second pitch. Yeah. So we’ll, we’ll tap into both. Here is that meal kits is with God got us excited about it. Oh actually. So we said the regionality of regional kitchens for distribution to make the freshest food possible to ship the freshest food. Well then at that time we said the fastest growing food industry, fastest growing trend in the food industry was local. So it was like, well now we can source locally because we have kitchens in every region. Um, and then that’s when it clicked and said, okay, now we can launch. We know we could win within those regions. So then meal kits was the fastest growing food trend and that’s what got us excited because the freshest food and the local got us excited and then we launched that and it grew great here in the Midwest. I mean it was hard to get funding. It still is for meal kits, right? Nobody wants to hear in meal kits, um, until they hear our pitch and then they’re like, oh, you’re a completely different on the back end. The front end is the same, but everything else is different. So we were able to get some funding with that and continue to grow. Now meal kits within retail are as hot as possible. That is, you’re not even dealing with the buyers. You’re dealing with vps or above, right? Because they need the solution, they need something and there isn’t a generally distributed meal kit on the market today. And that’s what we are. Yes, we are in target, but we’re also distributed through distribution centers to other stores. So the larger picture is that we created that localized supply chain that can be utilized for selling anything local. We have the connections with the farmers, with the chefs, the makers, the distribution of that product, the stories and the content and how to tell it with that we’re able to create a new type of a product or we could say marketplace, if you want to at this point that focuses on localization, so how do we get consumers the freshest product possible and that has the biggest story as possible. Consumers have been asking for the story of their food for the past 30 years. National Food can’t do it, period, so you need to be within the region. You need to have that and the beauty of it is people are talking blockchain within the supply system. You don’t need blockchain if you know where your food’s coming from, right? We are going to be implemented that blockchain aspect within to drive transparency from the farm to the consumer, but it’s essentially two blocks if you will. Right. So that’s what we’re. We’re trying to go after him. I’m very excited to do if that, if that all pulls together and make sense. Can you give me another example of, if you have this infrastructure to be the local supplier in these different regions besides the meal kits, what else may you be distributing in those localized regions? Yeah. So, um, what’s your, what’s the favorite bakery where you guys are from? in Minnesota It’s Rotisserie 46 Right? But Laughlin’s , what’s your favorite item from there? okay. That gets, you’re only able to buy that item at Laughlin most likely, right? Well, we’ll, we’ll start shipping that item to everybody. So items that are local that are favorites of the area that you can’t just go buy at a grocery store and that’s 90 percent of the items are more. Yes. Grocery stores or grocery stores are starting to catch onto the local aspect, even co-ops, but they’re only able to carry so many items and you have to live next to them and they were able to gather that item. Next thing is craft beer. If you want that craft beer, you have to go to the brewery or you have to go to the store actually carries it, and that only reaches 10, 15 percent of the population in your state or your region. We can start shipping all those specialty items and don’t call it. We don’t like to call it artists in our specialty because that’s how these industries have been built before and they’ve. They’ve been bought and now they’re gone. Right. It’s the localized ones that were able to tell the story about Does that help? So I have some questions on. I have a couple questions. One of them is on scalability and eh, I might be a little off on this story in this way. It was developed, but I think I remember reading that whole foods kind of started with a similar model in that every store only sourced from something within a hundred miles. That was kind of their original structure. Now whole foods has these manufacturing centers and they’re developing their three 65 brand and now they’re owned by Amazon, so they’re national and probably soon to be super international, but they had to centralize to do that. Does that model resonate with local Crate? or is there a way to scale and still be decentralized? Definitely, I think it was a product of the time you look at whole foods and that’s brick and mortar retail. In order to gain as many sales as you can in one location, you need to offer that consumer as many products as you can online. You’re able to offer curated specific items to a huge group of consumers that are interested in that and, and the message that you’re selling them. And there is now a, we believe locals on the tipping edge of the trend. Um, you’re starting to see people really dabble in this area of investment and we want to be the first people to tell that story. There’s other companies, for instance called here. They’re taking products, ingredients from every region, creating products from them and selling them on the shelf. You have a company on the west coast called good eggs, massive company starting to dive into the local sourcing, so yes, there with technology and the distribution, it’s actually cheaper for us to ship same day delivery compared to Blue Apron or plated shipping about 60 percent cheaper. Right. Because they’re shipping two to three days from a centralized location. Transportation of food is becoming more and more expensive. Across the United States. You have a job board that doesn’t want to drive anymore. Millennials, you have gas prices. Everything just is diving deep into that to where it’s becoming expensive to source nationally, if you will. We’re all more able to source some ingredients are the exact same price as the national product. I have a question on stickiness. You mentioned earlier that the customer is more likely to stay around and you mentioned that for Blue Apron They had these large acquisition costs that weren’t being more out because of spoiled foods. You mentioned a couple of other reasons, reasons. What kind of data do you have to backup claim that Local Crate stickiness is makes up for maybe the nationalized model and makes more sense. Yeah. I guess within our numbers if you will. So it’s typically on the subscription side, right? Is that after. Let’s back up. So with the APP, within month two, we still retain 66 percent of our customers and then at month six we retain 33 percent of our customers and then it levels off at around 20 percent after month 10 and then we still retain 20 percent of our customers for as long as we know the beautiful thing about our products, we’re able to tell a new story to our customers, meaning we bring on new farmers and you makers and new chefs chefs are a specific area that we haven’t tapped into yet or this conversation. But we’re able to tell a. for instance, we always say Gavin Kaysen here in Minnesota was kind of our chef. We always point to once we bring him on the menu, all our old subscribers like, yes, I want to. I want to crate his meal. They come back on and they stay on average for another two point five months. So that’s, that’s different from original subscription businesses across the board in any industry is that usually it’s a product that’s the same thing over and over and over. Maybe some updates to it, but you’re not really to able to tell a story, that reoccurring story that often. So that retention piece, we’re able to keep customers longer in our lifetime value. Um, after six months our customers spending $998 with us and our customer acquisition costs is around depending on the channel, 47 to $63. So our lifetime value is a CAC ratio is Great. You mentioned when you add a new chef that, that two point five months of additional services, do you have the same numbers for other farmers or. That’s a really unique stat that I haven’t heard before. Yeah. We haven’t really focused on the farmers and makers that way. What we, what we realized with our chefs is that that’s what brings consumers on board. That’s what gets them excited. One thing about localization or local that we thought before it was that what people are buying local for was to get back to the community and the caring aspect, right? But that isn’t what they’re buying local or they’re buying, what are they getting at a local first as a consumer and it’s the experience, it’s the story and knowing where their food comes from and on the back end they feel great that they’re giving back, right? And helping their community. So the chef, the excitement part of that journey and learning the story about the chef and you being able to cook their item and get a video of them showing you how to do it is the exciting piece that gets you in the door. So we acquire that way and then that’s the very first time we get you in the door. Then say maybe three months later you stop and then a month after that we have this new chef. You come back on board to try the chef and you’re ordering at least two times each month after that for two and a half months. Right? So that’s, that’s a way of telling that new story, getting you reexcited back into the product reengaged. yes, opt out. So auto rollover if you will, where there’s no true commitment and then you would opt out after that pause, skip or capsule. So frank, you’re going to roots simultaneously. You’re, you’re trying to be a ubiquitous retail option and also doing the direct to consumer. If your customer acquisition to lifetime value ratio is so good on the direct to consumer, why not put all your resources behind that? So it’s a tough market or you have all these. Plenty of Blue Apron, plated, Hello Fresh . So I’m basket. I’m home app pushing on that side, right? On retail you have shift in a certain amount of stores. You have Blue Apron and 18 stores today in Costco, right? You have Hello Fresh now and about 600 on the east coast, but that just happened. The consumer with our product on shelf, sitting right next to Hello Fresh and and Cheffed this was actually tested in a major retailer is that they gravitate to local like that were the same price point. The consumer is able to look at it side by side and say, of course you have the same price. I want local, right? Whereas online we have to go out and fight for those customers and pull those customers in. We would love to be able to have the funding to pour all the dollars in that $47 customer acquisition cost, but we don’t have that funding today. We’ve had some to prove it out, but now the retail is there and it’s a flip of the switch from the standpoint of the dollars we have to spend to get into those retailers a lot less than spending. On the other side. The secret sauce is, well, how do we get those people to become direct to consumer retailer subscribers? This Omni channel model is very interesting within food, um, you look at every other food company, they’re a traditional CPG company. Omni channel is where food is going. Obviously with Amazon and whole foods acquisition and then you’re starting to see everyone else add on the delivery piece. It’s how do we offer local at where the consumer wants it, how they want it, and what they want. Right? So it isn’t just direct consumer, it could be retail on demand delivery at any point. How can we be their local supplier? Are you able to. So you said in that study where they matched you against Hello Fresh and chefs at the same price, they chose local. Are you able to match the price dollar for dollar in the stores and are you also able to do that in the direct to consumer? is your margin in retail higher or lower or the same as direct to consumer? It is lower than direct consumer. Direct consumer, right. We own the whole process. Um, so it’s a lot. Yeah, lot less. You know, in retail you have to give a certain amount, a certain amount to that retailer that’s helping you sell it. Right. That’s kind of the big thing there. And I think that’s why the national players do you mean direct to consumer capture that market and then retail, I mean when you look at the direct to consumer market, Blue Apron is able to grow to a $3,000,000,000 evaluation and three years retail when it would be a 20th of that, the amount of people you’re able to sell online, it’s just a lot bigger than than retailers. Speaking of the amount of people, how long have you been active in your upper midwest region? Yeah, we launched in November 2015 with our direct consumer product. How many monthly active users do you have now? Um, that’s the number we can’t talk about today. But yeah, yeah, we launched in November 2015. We can talk about some revenue numbers because those are all fair. But our first year in business we did $450,000 a week just in my cofounder and I and just in the state or just in Minneapolis, St Paul. The second year we did around 800,000. Again, no true investment of remarketing or anything like that with just three people. And then we got into the techstars program and that really helped in that marketing side, some marketing dollars, we doubled revenue in those first couple months with techstars and then we’re able to go out for our seed funding and that allowed us to develop this retail product in the techstars program. And then now that we know, we launched retail about a month and a half ago now, and we’ve doubled or tripled our monthly reoccurring revenue in that first month. Very cool. What’s the retail product part of the pitch to get into techstars? Or was that developed in Tech Stars? It was developed in Tech Stars. We, uh, obviously, you know, they kind of saw that in the background as an opportunity. We had been pitched to do a retail product with some smaller retailers, but it wasn’t worth the squeeze because you essentially have to create a whole new business even though it’s a similar product, it’s a whole new business and it just Kinda wasn’t worth it compared to the opportunity on direct to consumer. Well, when targets there, uh, that opportunity is worth it and with, with their mentor ship and the help on that side of target’s been a great mentor, if you will, for us and helping us grow and a development of product, the to put on their shelves. You’ve mentioned throughout this interview that fundraising has been a challenge. Can you talk? Is that a fair categorization? Can you talk to some of the feedback you’ve gotten? Why, why it’s been a challenge? Well, and then we can put it in a challenge of Midwest people, East Coast people, west coast people, right. And this is my understanding. This is our opinion and this is what we see is that west coast doesn’t even want to talk about meal kits. The conversation isn’t a conversation that’s, oh, it’s a meal kit company. No, that’s old, right? We don’t want to talk about that. Midwest is, oh, your meal kit company a kind of. That’s tough. We’ve invested in maybe in one or two some funds, but we’re willing to listen. Right? So we have the conversations, but then all the metrics are out there, every number possible or that you have to compare yourself to. Right. Whereas if you in a new industry, there’s nothing to compare yourself to, right? So the valuations are high, the numbers are high whatsoever, right? But there’s numbers for us to compare against you. So it’s a lot of diving deep into the weeds and a bunch of details. So that’s been tough. But uh, when people wrap their minds around the localization piece and not meal kits, those are the people that can see the future of what we want to do and are bought in. Right. We have some people who’ve been able to track or attract attractor have been an absolutely amazing. We’re very, very fortunate and they’re great people to east coast is, can be very cpg focused. Right. Um, and at that time we didn’t have a product that was actually on shelf. I mean, think about it. If I came to you guys and said, yeah, we’re going to launch a product with target here in a month, right? It’s like, what do you mean you don’t even have a product that’s on retail shelves? Why is target going to put you on shelf type of thing? Now that we’re on shelf and we’re, we’re actually doing a small bridge, a bridge financing me here. It’s a lot easier. And cpg is very straightforward where, yeah, your local, they’re not. We get it right and you could win at shelf, those types of things. So yeah, that’s, that’s Kinda been the big thing. And another thing with us as you kind of mentioned, is scalability when for until literally like a flip of a switch about two months ago even investors were still saying you can’t scale local. What do you mean? Right? It was, will prove out in another location and we will be interested. Right. Was local means non scale essentially. But we proved out the California location with all the target stores out there and it’s like now it’s not even, it’s not even brought up anymore. Right. It’s like, Oh yeah, okay, I get it. You can scale local. Right. So that’s kind of the big things. So it seems like you probably have big cost drivers. If you wanted to go direct to consumer, you would have to get a lot of capital poured into marketing to scale local with the retail locations. What does that look like and what do you, what do you need to have go right for you to do that? Yeah. So big things is a facility, but the, so we work at a commissary kitchens or food producing kitchens if you will, but we’re essentially re packers. We source ingredients locally repack those ingredients into our kids and put it on shelf. So they’re essentially distribution centers, if you want to call them that way. So that’s relatively easy. People understand you could scale distribution centers. Right now the part that people get hung up on is the localization, supply chain, sourcing those ingredients. A lot of people don’t realize that their supply chains in every major city that we could tap into. It’s just building those relationships and doing that. Um, so we’ve been able to prove that on the, on the west coast and already have those implemented in the new regions that we want to go to. So it’s the facility, it’s the sourcing aspect, and then it’s the chefs and the chefs are a little more difficult. You need to find a connector if you will, somebody in that region that has those relationships. At the very beginning it was difficult. Now every chef has a chef brand and it’s a community. Right? And let me back up. This local is a community, so once you tap into that community, it all connects, right? That’s where that network comes into play. Think of Etsy, there’s this community of makers, chefs, sellers, everything. They’re all connected, not from national players. They’re connected at the ground up. I tend to go off in different areas here guys, but I think I’m answering the original question and then it’s finding the retailer. We have to have retailers in those areas to sell to. So our plan is going out to these new regions, finding the facilities. So we’ve every new region that we’re looking at, the next couple of regions, if you will, have already found the facilities are and you identify the supply chains, it’s now finding the retailers who sell through the costs are relatively minimal because it’s all turn key items, right? It’s fresh food that you’re purchasing. It’s commentary kitchens that are low leases and that’s how we’re expanding. And those supply chains that you’re tapping into, those are variable costs for you then, right? It’s monthly leasing fees and things like that. You’re not building out facilities? No. Yeah, we are keeping it as lean as possible in order for us to pull levers if needed. Right. So if we don’t get a retailer in that area and we’re spending money, well let’s cut it out for this time being right. This big vision you have of scaling local, if you capture that, how big of a market is that in total? Because you’re talking bigger than just the American meal kit size at this point. Oh, exactly. Exactly. I mean, the local market today as a $20,000,000,000 market, this market is expanding quicker than organic and natural put together. Local has this great marketing perception that it holds. True is that um, organic and natural is underneath local. Local contains that. Right? But you get so much more from local. You’re doing good about your community. It’s fresher, it’s healthier. All of these aspects to it. There just needs to be told by the right people. Local kind of is being tossed around today and it’s a kind of getting shaded it in a way of jaded in a way. And we have to get out there and tell that first story. So becoming that first national and local food company in America. Right? And then now we’re the first ones to be able to actually say that’s what we’re becoming because we’re opening up in these new regions and the retail product is what allows us to do that very fast. Who else is trying to do it? in different incidences, Right. You have, you have the here food company, but are individual products just on retail, not Omni channel. You have good eggs. Which they haven’t stayed at it, but then the new recent funding of $50 million you could read between the lines, right? They are. I’m not sure if you guys are familiar with them, but for the listeners they are a essentially an online grocery store or the west coast, just San Francisco that they tried to scale out, but they were such a huge operation. They weren’t able to. Now they will be scaling to La in 2019, but that’s since they’re so big and they are online grocery store to start and that’s what they’re scaling. They’re only able to go city by city very slowly. Since we’re scaling our localized brand through retail, we could scale very quickly and put hold in these markets, learn the markets and then scale up from there. Why do you think good eggs has been able to raise $50,000,000? Well, so good eggs is actually the total labor is probably about 2 million or sorry, 200, 200 million. They. They’ve been a baby of San Francisco. They grew that marketplace, that organic slash localized, if you will, but they don’t tell the story of the branding very well. They’re going towards that way and that’s what are getting investors excited. And then the localized supply chain that they’re developing. Um, they tried to expand to, I think somewhere in Texas Chicago and East Coast, but it was way too big, way too complicated or they try to do it way too quick and they had a pool of, uh, back back to San Francisco, kind of hate telling their story right now. But um, yeah, they had to pull back from San Francisco and now they focused on San Francisco and hired a new CEO and now they’re starting to expand out. But it’s gonna be a slow, slow moving. Well movement. So you’re, you’re tackling a hard, complex, large problem. Who Do you look for or look to in terms of inspiration? So that can be someone you don’t know, like a business leader or someone who’s done something similar in the past or for mentorship. So someone you do know, how are you utilizing those kinds of people? Yeah, investors are a big one for us, right? So first I’d say internally our employees, we truly believe if you’re doing something good, you’re going to attract good people, right? We have been able to attract phenomenal talent, we believe because we’re doing something that people are genuinely interested in and want to be a part of. Right. So I’m like our vp of operations that we came that came on board, was scaled up another delivery company and went into larger distribution facilities. our cmo. She was at general mills, started a company called red stamps, sold that, um, and then was the Cmo of bright health, which is the largest fundraising company in the, in the year. And uh, in the Midwest, right? They raised 160 million their first time. So we got her onboard. So first internally the talent that we’re bringing on or growth managers saying, but anyways, internally. And then after that it’s our investors, people that were mentors that have came on to be investors. These people are either one very deeply tied into the food industry or the tech industry and it’s balancing ourselves out around we don’t want just traditional food because it’s going to point us in one direction. We want to balance that out with tech and new food people. How do we look at things from a different, different scope and then. Yeah, we have mentors too and just trying to tap into every knowledge piece that would cut. How big is your team in total, frank? Um, we have 13 salaried. We have about 50 employees right now. So why are you still based in St Paul Now? Is there a better place for local Crate? Yeah. No, I think, um, so I don’t want to step back because we’re talking about the home area here, right? Is that there’s certain parts of Minnesota that are food desert when it should be flourishing with amazing items, but that’s just the business model that they’re in today is you look at Minnesota nuts. What are your first thoughts are right, but again, they have the largest amount of co ops in the United States. It isn’t easy to grow year round here, but you’re seeing the food community flourish. Minnesota should be the food capital of the United States. You look at all the players. We have general mills, land o lakes, Schwann’s, all the other corporation, the food entrepreneurial scene starting to pop up. But the food capitals, boulder, Colorado. Why? You know, like that there’s no specific reason why they shouldn’t be Minnesota should be. And we’re starting to go after that and you’re starting to see these food, new food companies come up. Um, so we’re very excited to continue to be based here. Yes, we can source bettering in California year round, but local isn’t about sourcing locals, about a piece of it sourcing, but it’s about the story. It’s about the chefs, it’s about the makers. It’s about pulling that whole story together and ideas of looking at food in a different way and I think Minnesota has that talent in order for us to look at it in a different way. So you used to hang out with rappers and now you hang out with farmers. Is your girlfriend okay with you hanging out with or your wife hanging out with a CD People now? what a pun, been sitting on it the whole interview. You got to get into my dad joke of the day, you know? frank you so much for being on the show. If I’m little two questions, what markets are people able to order Local Crate now if our listeners are there? Yeah, so our deliveries in Minnesota and Illinois and then California or to buy it on shelf, we have Minnesota little bit of Wisconsin and it will start expanding here very shortly in the Midwest and then California and Arizona. And so after the show, if listeners are interested in learning more or if they’re in those areas, where can they learn more about Local Crate or follow you online? Yeah, so LocalCrate.com or @localcrate on any social media platform available. Um, and @localCrateWest for the west coast. Great. Frank, thanks for being on the show. Yeah, thanks for having me. Guys. Can we just talked with Frank Jackman, the cofounder and CEO of local crate. Remind our listeners what we’re about to do in my favorite part of our episode here, the third segment of our show. Well First Jay, I just want to say frank, you very much for being here in the deal memo episode. That was an accident. I didn’t even realize I did it until you told me. Listeners, if you didn’t hear at the end of the episode, Jay tried to say, frank, thank you very much for joining the episode, and he said Frank you very much for that. I’m all about the economy of language. Yeah. That was a Portmanteau to its finest. The third section of our podcast to get back on track here is a verbal hypothetical deal memo with Jay and I do here is we assume we are in charge of either an angel fund or a venture capital fund and we’re looking at this opportunity that you guys have just heard about and we’re going to say, what’s the upside? What’s the downside? The point is twofold. First, to communicate to our potential investors in this case, hypothetical why we’re making, why we’re putting money behind this opportunity and this idea, the second is so that Jay and I can look back in six to 18 months and say, why did we decide to invest in this idea or pass on this idea and crystallize our thinking? That’s right, and it’s my favorite part of the show because this is where I get my learning. This is where I become smarter in where, uh, you and I really sharpen our ax. And also this is where we want to hear from you, our listeners. So if you have thoughts throughout this deal memo, please tweet at us @upsidefm or comment on this episode on breaker and let us know what you’re thinking. Let us know what we missed. Let us know why we’re wrong. Let us know why we’re right. That sounds, that sounds amazing. But yeah, this is where we are really accomplishing one of our main goals of this podcast, which is to learn and get better at this. So Jay, we just talked with frank from local crate. I’m going to be the first to say it. I came into this interview a little. How did you phrase it? Intense. A little intense. I was dubious. I was. You know what? We’re going to lay it out there. I was negative. Negative. I came in with a skeptical, skeptical mind and I think I was proven wrong. But Jay, you came a little bit more positivity. What did you take away from this interview? What were your big takeaways? Well, you know, I think we’re starting to see a pattern here when we, when we think, oh, this seems familiar and we’ve seen this before, that’s also some feedback that this founder has probably heard a thousand times and they’ve got a different spin on it. So, you know, being open minded. But what I, what I took away from this is a novel approach to what is no longer a novel general idea, right? Similar to our parq ex episode. I like this decentralization of local and I liked some of the promise here that doesn’t make it an easier market, which you know, we came into this saying This is a tough market with two major players that are both publicly traded companies, neither of which are profitable in a market that’s $4,000,000,000. But from talking to frank, his play in his perspective is that he is going to expand that market to get out of just the $4,000,000,000 meal kit market because expanding at both in retailers and potentially in the goods that he is distributing from his decentralized local depots. What was your main level takeaway? Well, I think it was two fold. The first one is summarizing what you said, which is I guess extrapolating a bit. He is and Local Crate is not just selling a meal kit. They are selling the experience of food. He mentioned the idea of the story of the food, the benefits from having a chef on the benefits from having the makers and the farmers and telling their stories and linking to all of that and I think that when you can connect with people in that level, when you can really share a story that’s just a human nature, we feel that a little bit more. And the second thing, and probably actually the thing that stood out to me most was I asked a question about mentors and specifically inspiration and his first answer was his employees, and I know that this is a very kind of soft skills type of feel, but that answer when you have the opportunity and most founders would say, oh, I look to Jeff Bezos or I look to Bill Gates, or I look to this random guy who worked in my industry 40 years ago who did a great job. His first answer was no. I looked to the people in my building who come on board and are creative geniuses in their own right in our developing the future. I like that is like leadership that I don’t think you see very often. Yeah, I like that. I liked that paired with frank’s general humility throughout the interview. It does seem like his team has some real bonafide days, some bonafides, some good track record. Also, I love a good story and being able to see the through line of the Schwans effects on his city, his family, his life, and now his business. Very interesting. The line that really stuck out to me was there maybe a couple of lines here when he was talking about the Blue Apron or Hello Fresh is of the world. These original meal kit services did not come from the food industry. You know, as you said, with the experience of the food. If they make genuinely a better product, something that people experience and enjoy more because they’re coming at it from a food perspective and they’re coming at it from a local fresh perspective. I think that sounds like opportunity now. Some shadows if we will. shadows is shorthand for a story. Eric shared about, uh, being on a surfboard and seeing a shadow in the water and thinking it might be a shark, but it turned out to be a turtle. Sometimes shadows are sharks, sometimes they’re turtles, we don’t know, but there’s shadows nonetheless. Shadow that I’m thinking about here. Let’s just say that the world doesn’t necessarily play out to expanding the pie, getting out of just meal kit which is directly opposed to his thesis. So maybe we shouldn’t assume this, but if we’re looking at how low could this go and it doesn’t expand. Still highly competitive, still not price matching on those direct to consumer meal kits. His cost of acquisition, lifetime value sounds good. But if the investors who can see the financials because they’re fully public from these companies are doing the math much more involved math and we have done today, back of the Napkin and having some trouble with it. That’s a shadow to me. But you know, I think if you’re going to look at this opportunity as a real opportunity, you got to believe in the full story that frank is spelling out with retail locations and just general decentralization of this. So the biggest risk for me on my side is really user behavior. I think it’s fundamentally hard to cook meals every single day or to cook meals all the time and the margins that they bring in their direct to consumer side of the business, those are definitely going to buoy their business into the future. The retail is a beautiful risk mitigating strategy. It hits on a lot of user behaviors that are already present in the market. You walk into the store, you buy your food, you say, oh, here’s a meal kit will make that on Wednesday. Perfect. My question is more around the idea that we need to convert that experience into a user, and this might come from my ignorance on the products side of things, but we need to convert that experience into this idea of someone signing up two weeks out of the month, every month to committing to cook dinner. Because humans aren’t that good at habits, good habits I should say. What would be more interesting to me is some sort of, and I know I’m hypothecating here, but something where I have a set number that I get to use per month where I can either go into the store order directly. However it works, and by signing up for a monthly subscription, I get x number of meals for the month. That to me makes a little bit more sense. I’ve always thought that this idea, I’ve used Blue Apron , I’ve used Hello Fresh and getting four meals for a week is a lot of cooking to do. It’s just, it’s just difficult. That’s true. I think to play devil’s advocate a little bit, I think they sell in two meal servings because they can deliver much more quickly. and there’s also the risk that there’s all of this consolidation right now, which means that, okay, let’s put ourselves in the position of who did we just say, bottom one? Albertsons bought plated, I believe, I believe. Yeah, so your albertsons, you are a. You are the coo or the CEO and you just approved this acquisition of a $300,000,000 meal kit service and this other meal kit comes to you and says, Hey, we’re going to guarantee you a 20 percent margin. We’re going to compete directly with your new purchase. That is a tough value proposition to say, okay, now we want to get into every store. I don’t think that’s the route. I don’t. I think the consolidation really has made that tough for Local Crate . I think that that is probably a risk in that they only have a select few number of grocery stores or convenience stores or whatever that they can actually get into because of this recent kind of buying spree, if you will. good eggs, highly capitalized, but also these could be seen. On the other side of the coin has opportunities. This consolidation, what if there they move quickly enough and have the chef’s aligned, so maybe that’s a valuable asset and maybe the, the depos in their different locations are valuable assets and they are required by either another meal kit service or a chain. Allah at Albertson’s and plated could be opportunities. Could see that as an exit opportunity. Let’s do a little bit of digging into Jay and Jay’s eating habits. That will be fun. So Jay, you do not make meal kits, is that correct? Okay. You eat peas and that’s about it from what I went to the room she started with you. Is that correct? Uh, uh, more or less. I, I eat a lot of low preparation, easy to do things. That being said, I have certainly considered meal kits where I fall apart is exactly what you said. I don’t trust my own behavior that I can make good on four meals a week at a price point of 10 to $12 per meal. I don’t trust myself to do that. I think there’s going to be a lot of waste. And then, you know, that’s kind of a high price point in my mind. So let’s say that you decide that two meals a week is sustainable, let’s put Jay in this future state and then all of a sudden you decided it’s not. Now you have been a user of Local Crate and then someone like Cameron Mitchell who is a celebrity chef in a columbus, comes out with some recipes and says, look, these are the recipes that I would make this summer using ingredients that are made here in Ohio. Is that something that motivates you or you just know you’re not the core consumer here? I don’t think I’m the core consumer. I do think that the difference of two meals versus four meals as a way to try it moves the lever. I also want to say love Cameron Mitchell restaurants. Let’s not give them credit as a chef here. He’s a restaurant tour. Wow. On blast. Wow. Cameron. Don’t listen to this because I will, we will definitely have you on the bike. Would be great. Um, yeah, I don’t, I don’t know chefs well enough. However, I think there are a lot of people. My age or like me who are watching the great British bake off who are watching chopped, who are watching iron chef America who love that and would geek out on that and so I believe that there. That may be the core consumer, but it’s not me. Great. Well a couple of other things I wanted to mention in terms of what I’m really excited about in this business. Obviously the stories. I think that there is a huge market that you just mentioned. The people who watch all those shows that people who are going in their yelp elite and they check out all these restaurants and they know all the chefs in the area. That’s something I could definitely see people getting behind and getting excited about and posting on instagram and talking about on twitter is this is this chefs recipe for this specific time there scarcity that’s involved. That’s all really interesting to me. The other thing that is really interesting to me is just some of the numbers. The most exciting number to me in this space is stickiness and retention. Frank said that Local Crate has 66 percent of people renewing for month two. In month 6,33 percent. That means if you saw if three people sign up for a local crate, six months later, one person is still signed up. Now let’s look at Blue Apron . Who is the perennial all star in this space, not profitable, but the perennial all star. That six month number is 10 percent. That means you have to sign up 10 people to get one person to stay for six months. That is like that. That number differential is incredible to me. Hi, it’s me the devil’s advocate. I think that I agree with you. My question is would that number bear out at a level of scale comparable to Blue Aprons or they saturating the market to a customer that is not as loyal and that’s just kind of what would happen at that level of scale? That’s a great point and that probably gets us to where we want to, which is the market sizing. Let’s assume that this is. I mean, how would you even go about categorizing the market sizing here? Great question. If I would have had a little bit more time and done a little bit more research, I would have looked into retail location stats in tried to figure out some sort of proxy for what they’re selling in meal kits or hungry man dinners. I’m not sure. It’s hard because if you’re. If you’re looking just at meal kits for billion dollars, hello fresh and Blue Apron have 35 percent of that. So you’re looking somewhere 1.4 billion dollars a piece. Yeah. I don’t know. Do you, do you have a, an approach? I think I would use something similar. I also think that there’s a lot of macroeconomic factors here. There is some pretty, you know, I like my macroeconomic trends. There are some pretty significant dives and growth in eating out versus eating in, in terms of, in times of bull markets and bear markets, and for those who aren’t aware or don’t pay attention to the financial markets or the economy. Uh, we have been in a nine year upswing, which means it’s a bowl. It is the second longest or longest bowl of all time in recorded history in our economy appears to be humming, which means everyone feels rich and I haven’t looked at the stats. I know what the chart looks like. I have. I don’t have the stats on me for eating out as an American. It’s high. It’s very, very high. When a recession hits that number crashes. It’s just the way things have always worked and I think that when people are going to the store more and they can buy a meal kit more and that is a more affordable option and they can buy that for $14 and get a high quality high experienced meal that can supplement their current deficit for going out and eating 40 dollar meal somewhere. I think that’s, that’s. That’s maybe a huge catalyst that’s hidden in the weeds for them. True. That’s interesting and it’s also another reason why you’ve got to look at this, not from the meal kit standpoint, because subscriptions are going to be one of the first things to cut if the market turns in my mind, but yeah, I would say if it’s in stores and it becomes a meal that you can buy in and make fairly hassle free and an approachable price point. I do think that’s a good plus. Something that I did want to touch on because I feel like we didn’t touch on it quite enough. Hard enough to quantify the retail opportunity for a prepped meal. He’s looking at a world where that’s not even the only thing that they’re distributing from their decentralized hubs. So that’s a, that’s a whole other thing that I have just have no idea how to quantify. Here’s the thing, there are a few things in our lives that we need. One of them is food. The market is huge. That’s something we need to know. The market is very big. Yes. So let’s, uh, I mean we both kind of acknowledged that we see big opportunity here, big opportunity that we’re not quite sure how to quantify that would lead to us asking more questions, but I think it’s safe to say that we’re interested in this opportunity interested in learning more. What are you looking for in six to 18 months from local crate? I want to see how their metrics in California and what he called the states above New York actually pan out. I think that when you’re in your home turf, you understand it so well when you’re in Minnesota and Iowa and that’s where he’s from. That’s where the founding teams from. It’s you understand it, you understand how people eat, you understand that, you know, they might like these kinds of fried foods better or stereotypical Minnesota. They like Mayo, right? That’s like their thing. I think deep fried mail on a stick or whatever. Maybe that’s Nebraska. I’m sorry, Minnesota. The pallet changes a lot in California. That’s why I asked the question about are these menus customized by chefs every season to that culture? And I think that’s something that is is going to be born out and we’re going to see some of those stats and if in Minnesota you have after six months, 33 percent of people, but in California it’s five or in upstate New York it’s 80 like that is there’s going to be some real questions that come out of the regionality aspect that aren’t standardized that an average isn’t going to work. What about you? Yeah, I’m looking at what does growth in retail stores look like? How are the pilots going in California, in Minneapolis? Do they have conversations and traction with other retail locations? This local market which you ballparked at $20,000,000,000, how are they doing in capturing that? Highly, highly fragmented as he admitted, highly fragmented, but I do love the brand Local Crate . I think that speaks well. I also love the brand. Hello Fresh because people think fresh. I mean that’s subway hung their hat on that for so long. What would be powerful to me if he’s working with the Laughflyns bakeries or the craft breweries of the world, do those hello crate boxes in their local ecosystems? Have branding of these local brands that you love. I think that pops off the shelf like crazy, but he didn’t mention that so I’m just just make an image with wishlist here. I think sometimes what we do in this deal memo is say, man, it’d be cool if, and I don’t know if that’s helpful or hurtful, but I think it is interesting. It shows a little bit about how we’re thinking about the opportunity and the idea. Yeah. So I’m, I’m really looking at almost entirely what does their growth in retail stores look like? I mean if, if they’re direct to consumer tanks, want to know something about that. If it’s growing like crazy, wanting to, something about that, want to see if other people are buying into his vision of decentralized local and he and he’s finding some traction in, in raising capital. But yeah, I think, you know, for me, if this was an opportunity we were looking at, I’m asking more questions sooner rather than later because I think it is an attractive opportunity. Okay. Well that wraps it up for us today. We appreciate you swinging by and listening to us chat with Local Crate and hearing our thoughts on the opportunity. We’d love if you connected with us on upside via twitter @upsidefm or hello@upside.FM. If you’re a breaker listener, comment on the episode below, Jay and I respond to every comment on the breaker app. Jay, what am I missing? Nothing. will talk to you guys next week. That’s all for this week. Thanks for listening. We’d love to hear your thoughts on today’s guest, so shoot us an email at hello@upside.FM, or find us on twitter @upsideFM will be back here next week at the same time talking to another founder and our quest to find upside outside of Silicon Valley. If you or someone you know would make a good guest for our show, please email us or find us on twitter and let us know and if you love our show, please leave us a review on itunes. That goes a long way in helping us spread the word and continue to help bring high quality guests to the show. Eric and I decided there were a couple things we wanted to share with you at the end of the podcast, and so here we go. Eric Hornung and Jay Clouse are the founding parties of the upside podcast. At the time of this recording, we do not own equity or other financial interest in the companies which appear on this show. All opinions expressed by podcast participants are solely their own opinions and do not reflect the opinions of Duff and Phelps Llc and its affiliates on your collective llc and its affiliates or any entity which employ us. This podcast is for informational purposes only and should not be relied upon as a basis for investment decisions. We have not considered your specific financial situation nor provided any investment advice on this show. Thanks for listening and we’ll talk to you next week. Local Crate is a locally-sourced meal-delivery service. Local Crate delivers fresh, delicious, seasonal meal kits in partnership with award-winning chefs, local farmers, and passionate makers. easy-to-make recipes and pre-portioned ingredients are sourced locally by growing region, reducing food and packaging waste. 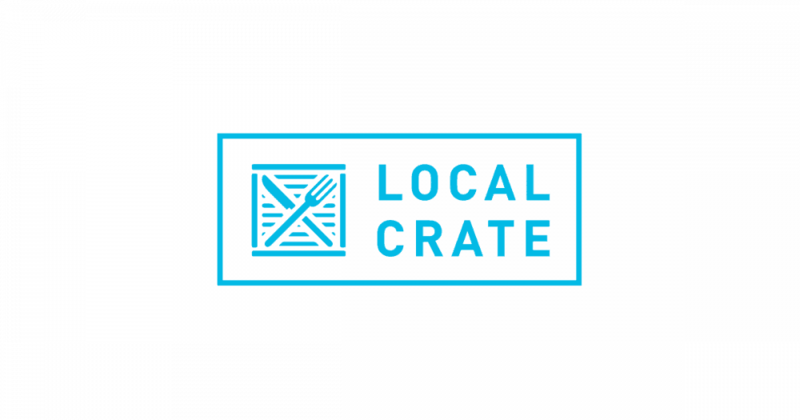 Local Crate is an alum of the Techstars retail accelerator and based in St. Paul, MN. Frank Jackman is the co-founder and CEO of Local Crate.